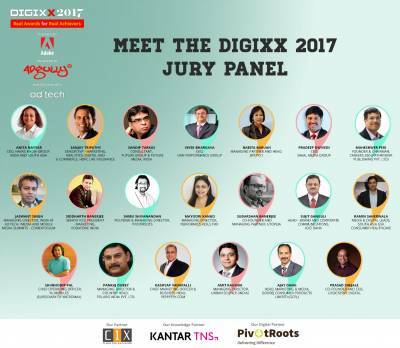 The inaugural edition of DIGIXX Awards kicks into high gear with the commencement of the final round of the Jury process from today, February 22, 2017. Brought by Adgully in association with ad:tech, DIGIXX Awards is powered by Adobe, while C1X, Pivot Roots and Kantar TNS have come aboard as partners. The Awards ceremony, to be attended by the who’s who of the digital, advertising, marketing and media fraternity, is scheduled for the evening of March 10, 2017 at The Leela Ambience, Gurugram. After the first round of the Jury process, wherein the Finalists have been shortlisted, now DIGIXX moves on to the final phase that will see a Jury panel comprising industry stalwarts deciding on the Gold, Silver and Bronze winners. Intense scrutiny during the judging process ensures that winning submissions reflect the industry’s best work and reward the creatives and brands successfully using innovation to push interactive to new levels.